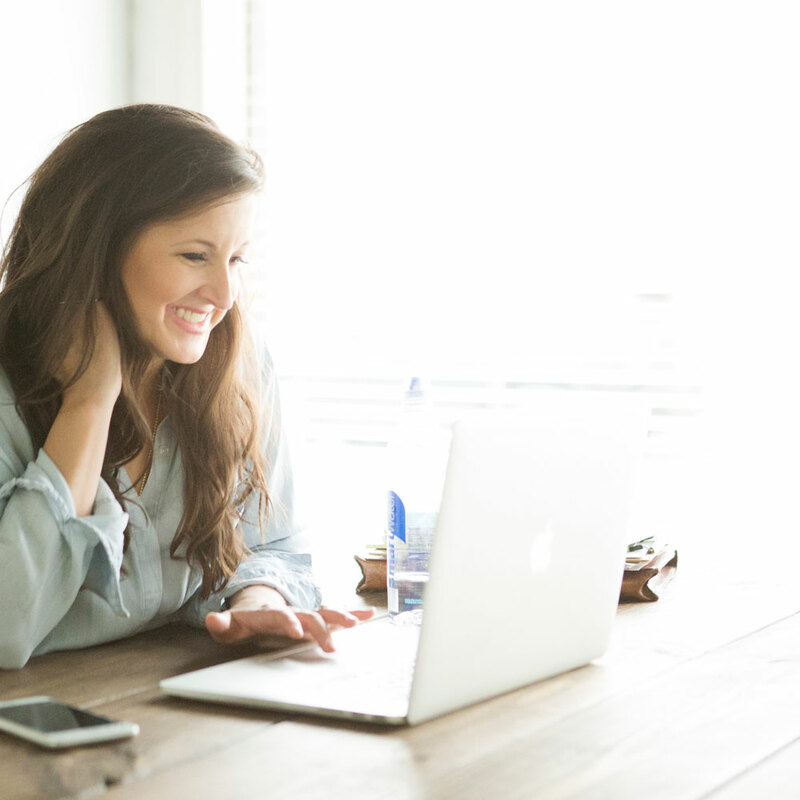 A few weeks ago, I shared how long-term planning can lead to a stress-free wedding week. If you haven’t read that post yet, go check it out before reading on! The truth is, without effective long-term planning, any tips I share today about shorter-term, wedding week preparation won’t be very helpful. 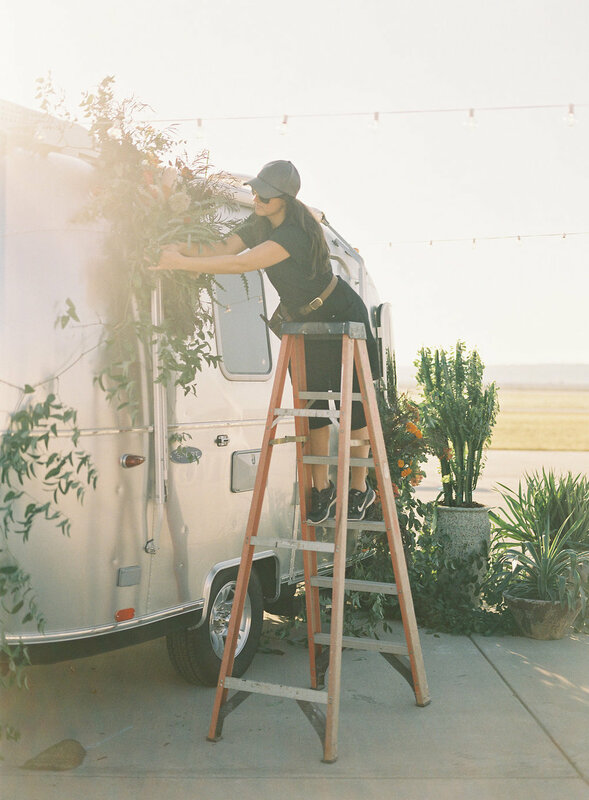 As designers, we put so much thought and energy into designing beautiful weddings and florals for our clients, that sometimes we can run out of steam by the time the wedding rolls around. 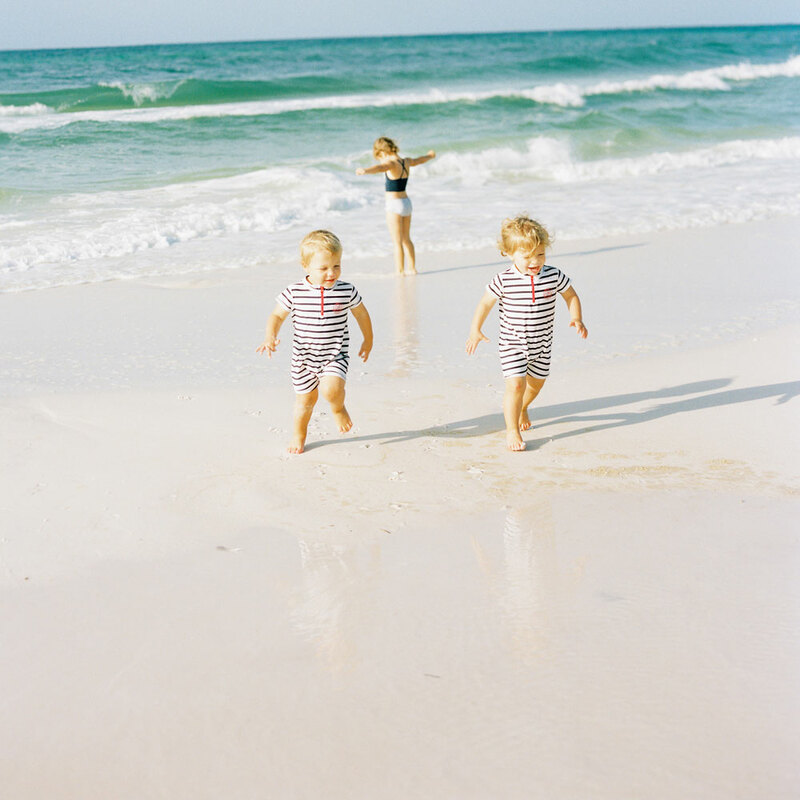 We start to dread wedding weeks, especially if we know they’re going to be filled with late nights, little sleep, shirking all other responsibilities and being strangers to our families. Maybe you’ve been stuck in that rut for years. But let me tell you something: it doesn’t have to be this way. And the trick to turning it all around? It’s simple. Planning. 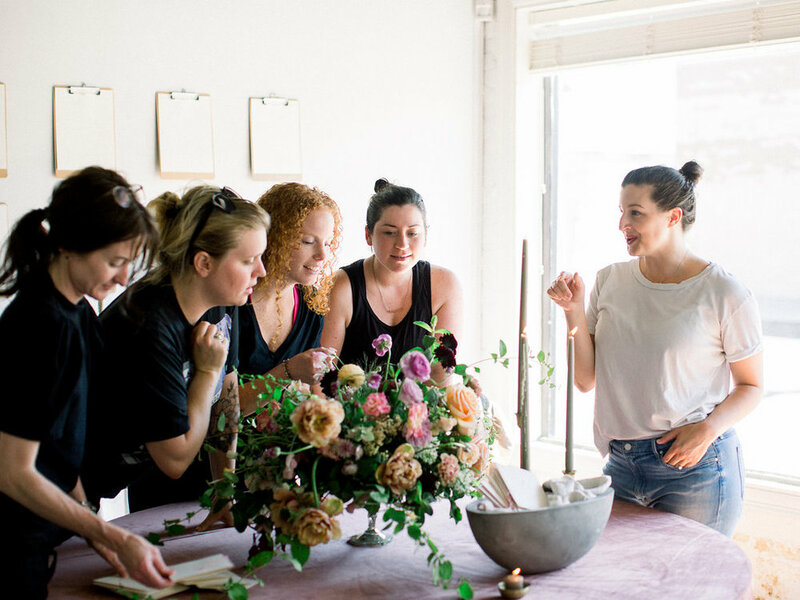 It’s so crucial to have a week-of wedding plan, because once the flowers are in my studio, it’s go time. I have a limited amount of time to turn boxes of flowers into beautiful designs, and there’s no way to create more time except through careful planning. On the Tuesday before a Saturday wedding, I have someone go into the studio to triple check that all the materials we prepped the weeks and months before is ready to go, packed correctly, in the right quantities with the right mechanics. Since we finished this prep work the week prior to the wedding, this really is just a final check, not a time-consuming activity. This person also sets out all the buckets we’ll need to process flowers the next day. Finally, she hangs up the list of what we need to produce for the wedding, so all the floral arrangements and bouquet quantities, etc. are visible for everyone to see. The goal is that we can totally focus our energy and efforts on florals, and anything non-floral is just waiting to be loaded up for delivery and set-up. 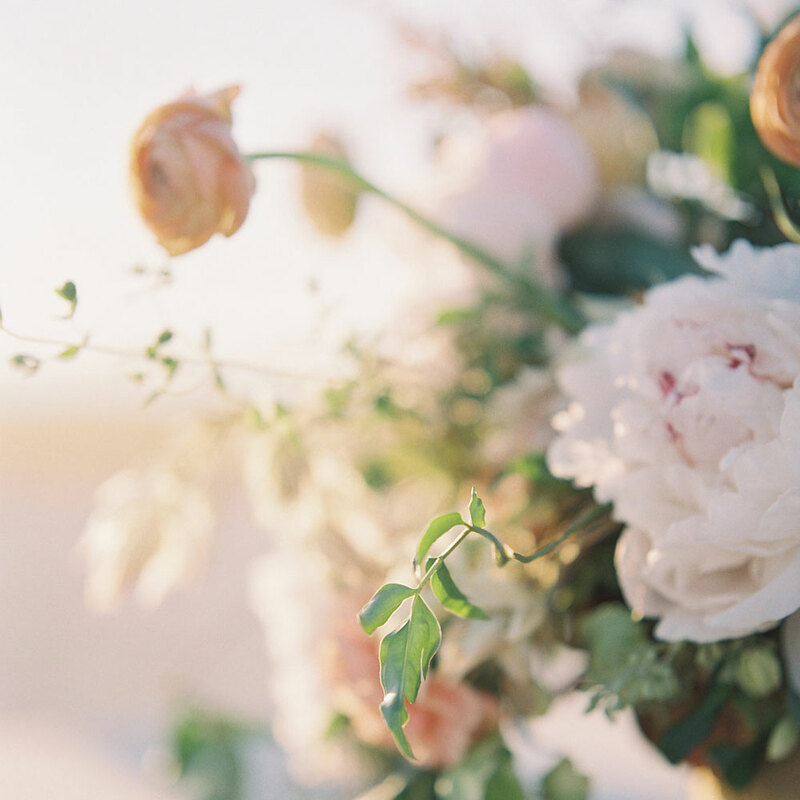 Non-floral elements take up no time or mental energy the week of a wedding. Imagine what that might feel like! It’s totally freeing. Before the week of the wedding, I create a wedding-week timeline. I break down each day and plan what work we’ll accomplish hour-by-hour. Every day the week of the wedding! Because I have an accurate account of every floral piece I need to complete, I allocate time for every element. I know that if I stick to that schedule, the team and I will finish on time. This takes a away so much anxiety and guess work! It’s not a bad idea to make this schedule as you’re working on a proposal before you even book a client. This way, if you run out of hours in the day or time you’re willing to work, you’ll know if you need to charge for another freelancer. It’s important to create hour-by-hour, not just day-by-day timelines for the whole wedding week. Trust me on this! Block scheduling is what keeps me from spending too much time on any one thing. If I know my team and I only have two hours to create twelve arrangements, then we’re going to get it done. Because guess what, the following two hours are allocated to something else that is equally essential. Keep in mind, the proposal and pricing summary I created for my client was based on the cost of materials, yes, but also on the value of my time. Just like I need to stick to my floral order budget for each wedding, I need to stick to my time budget for each wedding as well. If I don’t, I’m losing money and time. 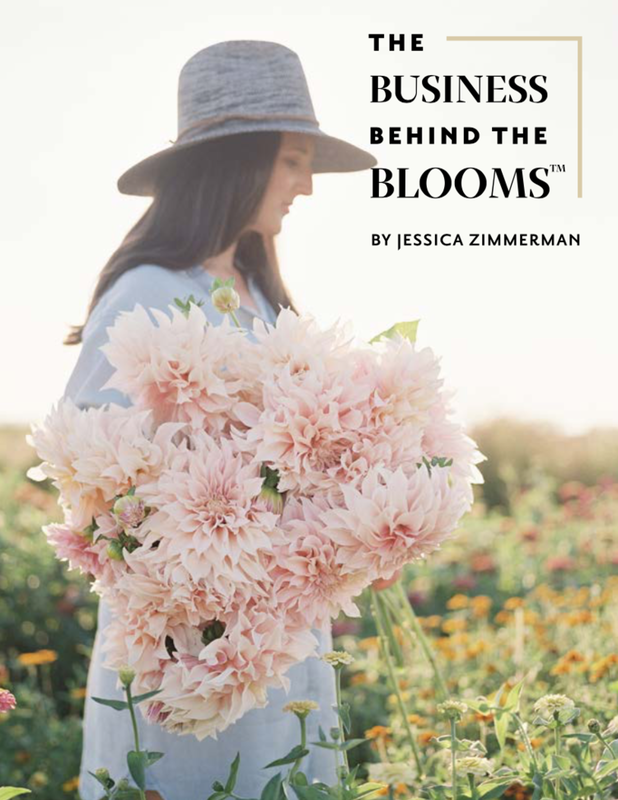 I talk more about this in my course, The Business Behind the Blooms. Keeping a schedule that I actually stick to is one of the best ways I can ensure I’m making the best use of my time and money the week of a wedding. One thing you won’t totally be able to control or anticipate is who will need to contact you the week of a wedding. You can, however, streamline your communication process so that when someone does contact you, you have a plan. First, the week before the wedding week, I create an email away-message that lets anyone who contacts me know that I’ll be unavailable because I’m working on a wedding. In that auto-response, I remind any future brides that I’ll be as attentive to them on the week of their weddings. Again, I create this auto-response the week before the wedding week, so I don’t have to think about it at all the week of the wedding. It is scheduled to last that whole wedding week. I can stay out of my inbox and off my phone so I can focus on doing great design work. Especially with clients who use us for both floral and planning, the week of a wedding, we’ll get tons of calls asking about vendor arrival times, double checking linens, or a hundred other things. This is why it’s so important to have accurate information at your fingertips. In Part One (link) of this post, I talked about how I have all my up-to-date information printed in my client folder and in their google folder. When someone calls for information, it can be a two minute call instead of a twenty minute call. That time really adds up! I also make sure that I’ve done any communicating that I need to do. Even if I’m just doing florals for a client, I’ll call the venue to make sure all the information I have is accurate. Once, my team and I drove out to a venue to set up an installation the Friday night before a wedding. The bride had told us that we could have access to the venue Friday at 3pm. When we arrived at the venue, they had to turn us away because they had an event that night. The earliest we could get access to the venue was Saturday at 8am! That was a lesson I only needed to learn once. Now I call every venue to make sure that the timeline information I have from them is accurate. During full wedding weeks, we always have our meals catered. It either gets delivered to us or is picked up by one of our team members. Then, we actually take a full sit-down break for 30 minutes to an hour. Since each hour of our day is scheduled, taking this time to breathe isn’t scary! It’s all part of the plan. This break time gives us the space we need to rest our creative brains, regroup, and get back at it after lunch. We’ve all been stuck in seasons where wedding weeks just feel exhausting and frustrating. When it feels like everything that can go wrong, does go wrong. While there always seems to be a few fun surprises, most wedding-week anxiety can be avoided by long-term planning. By being very clear about what needs to get done and specifically allocating time to complete your tasks, you can stay calm and focused, and know exactly when you’ll get to leave the studio each night. To help you out even more, we’re including a brand new and totally free resource with this post: Jessica’s Wedding Week Sample Schedule! This is a real schedule from one of my past weddings. 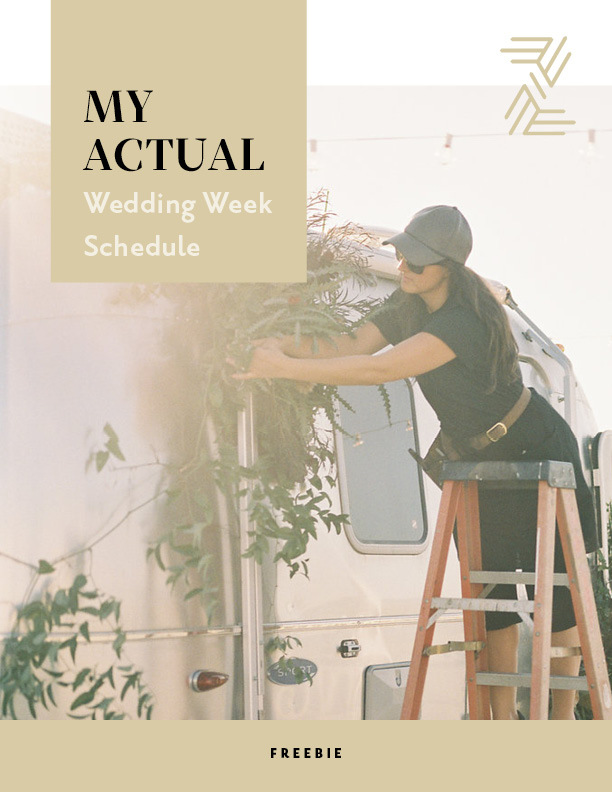 Hopefully this will help you plan your wedding week efficiently so you can experience freedom and joy as you masterfully execute your next wedding! You can do it!